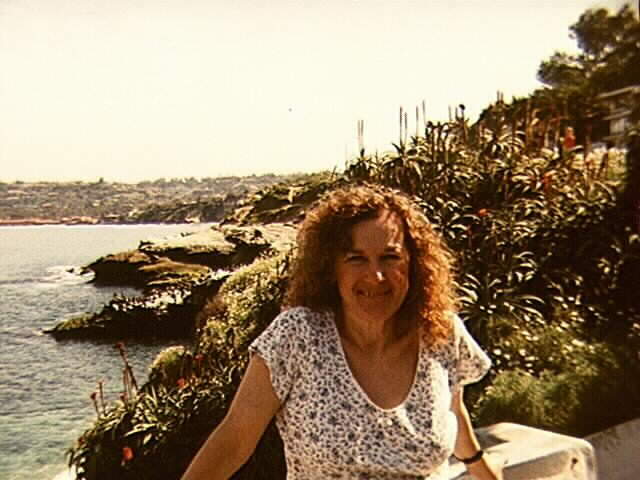 Welcome to Geri's Home Page. I am a busy woman. I have been traveling, working two jobs and going to computer classes. I am a grandma now, you can meet Eleanor and Dietrich. Eva's web page is under construction. Yes, I am a Babyboomer, so you can blame me or thank me and my generation for "the womens' movement, the Viet Nam War protests, the break down of the American family, the bulge in the population which will reach a crisis when we retire, and for the best rock and roll music ever. I am interested in people, photography, politics, literature. Please come back and visit me often. This is me doing one of my favorite activties, beach gazing and taking photos of the beach. 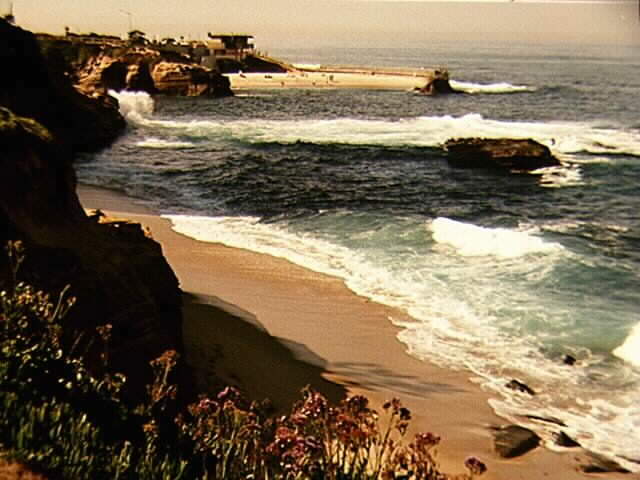 This is La Jolla, for those of you who do not know, it is near San Diego, California. Beautiful San Diego Click for live shot of San Diego Bay. The little star cluster to the left is not a defect, it is Pleades in Taurus. 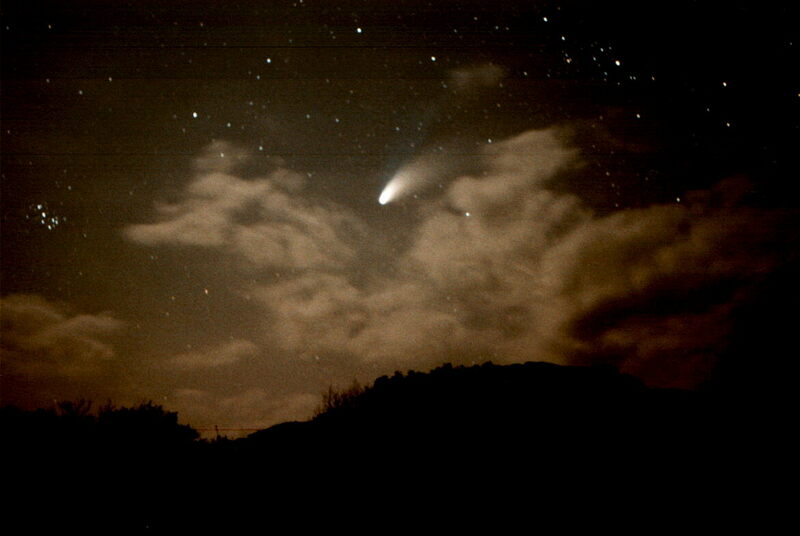 This photo was taken on Saturday, April 12 in the desert 60 miles east of San Diego with 1600 film.